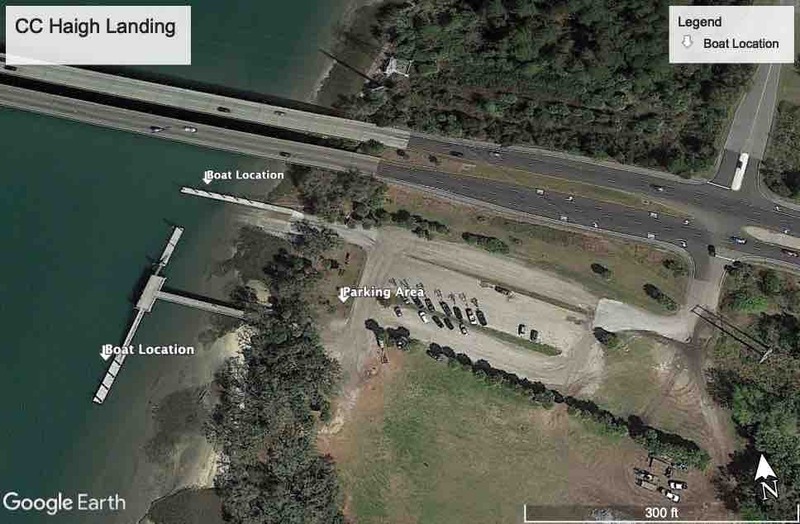 You can park anywhere in the parking lot and the boat docks are at the base of the bridge next to the boat launching ramps. 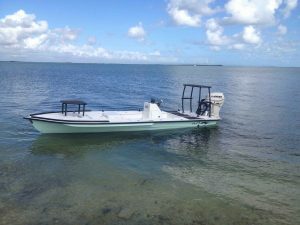 What to Bring – I do include everything for fishing and a cooler with ice and bottled water but always recommend a hat, sunglasses, sunblock and any drinks, snacks or food that you want for the day. When to Arrive – If you head down to the boat 5-10 min before our departure time that is plenty of time to get loaded up and head out. Bathroom? There is a porta-potti out in the parking area if you need to use it before we head out fishing. 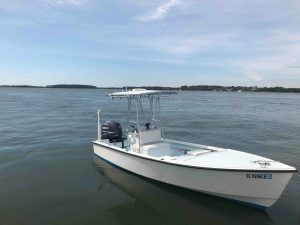 Use the Google Earth Map below to find the boat – I generally park the boat on either end of one of the two docks depending on the boat traffic and tides. GPS Address – 1640 Fording Island Rd. Hilton Head, SC 29926 – please note that some GPS’s will send you over both bridges back to the mainland. In this case simply make the left hand turn in between the two bridges directly across from the entrance to the Pinkney Island National Wildlife refuge and park anywhere.